Garmin released the Edge 520 in late 2015 and it is among the most advanced bike computers on the market at the moment. I’m not a professional rider, so I mostly use my smartphone to keep track of my rides. What’s the benefits of a dedicated bike computer like the Garmin Edge 520 over smartphones, we’re going to find out in the review. Inside the packaging, you can find the Edge 520, a standard mount, an extended out-front mount, a USB cable and a tether. If you buy the bundle which costs $100 more, you will have some more useful accessories like heart rate monitor, cadence sensor, and speed sensor. The Edge 520 has a very simple and portable design, it is made of plastic with rubber finishes on the sides. The unit is lightweight but feels very solid and durable. It has a standard IPX7 waterproof rating, so it can withstand immersion with a depth of up to 1 meter. On the back of the device, you can see the familiar quarter-lock mounting system. It works perfectly with the included mounts and you can easily install or remove the computer easily with just a twist. You can see the Edge 520 installation on my bike here. 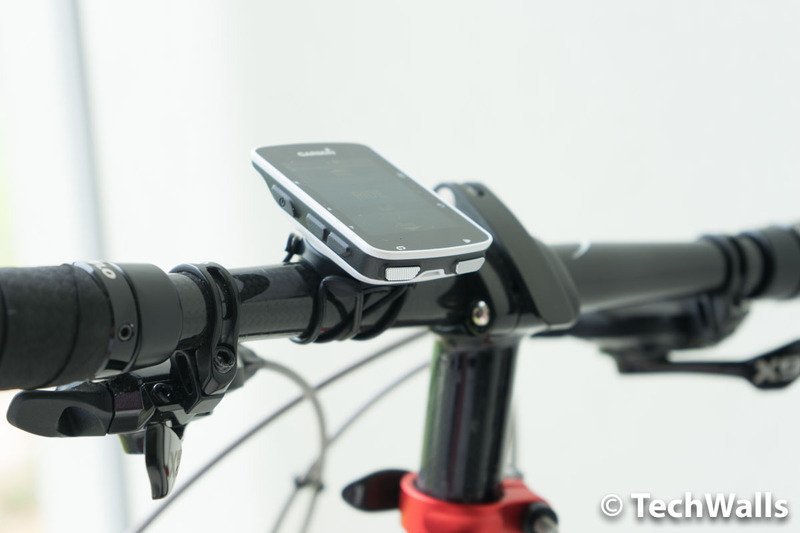 It can be mounted on the stem or handlebar. Many people complained about the lack of touchscreen but I actually prefer using physical buttons on this kind of dedicated device. However, the problem is that those buttons are quite stiff to press. It requires serious force to press the buttons on the sides. The power button and up / down buttons are located on the left side while the Back and Enter buttons are on the right. There are 2 more buttons on the bottom, which are a Start/Pause button and a Lap button. 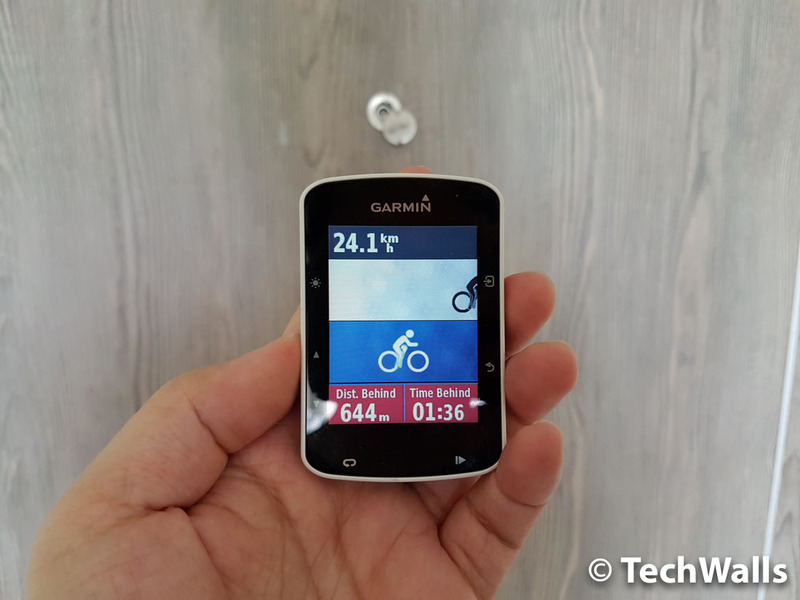 The Garmin Edge 520 is packed with a lot of useful features, so I recommend you to read the manual to get the most out of the device. To get started tracking your activity, you can simply turn on the device and press on the Start button on the bottom. During the ride, you can see live data on the screen like time, speed, distance, time of day and calories. Press the down button on the screen, you will get access to the Virtual Partner tool. It will show you who is leading, how far you are behind the virtual partner, so you will get motivated to reach your goal. 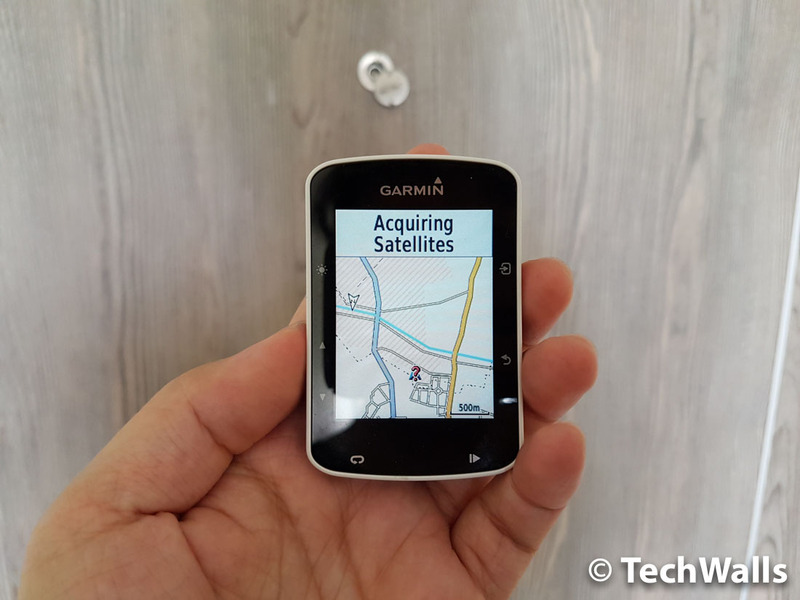 The base map of the Garmin is blank in my area, so I had to download a third-party map from OpenStreetMap, however, the map is so outdated and lacks of details. It is nowhere near the Google Maps, so you shouldn’t rely on this map to navigate around. A notable feature of the bike computer is Strava segment integration. The Live Segment feature is available for premium Strava accounts only. Basically, segments are virtual race courses , you will be able to race the segments and compare your performance to past activities or other riders’. You also should pair the Edge 520 with your smartphone via the Garmin Connect app because it will enable some more features like live tracking, notifications, social media sharing and wireless uploads. All data will be synced automatically via the app. 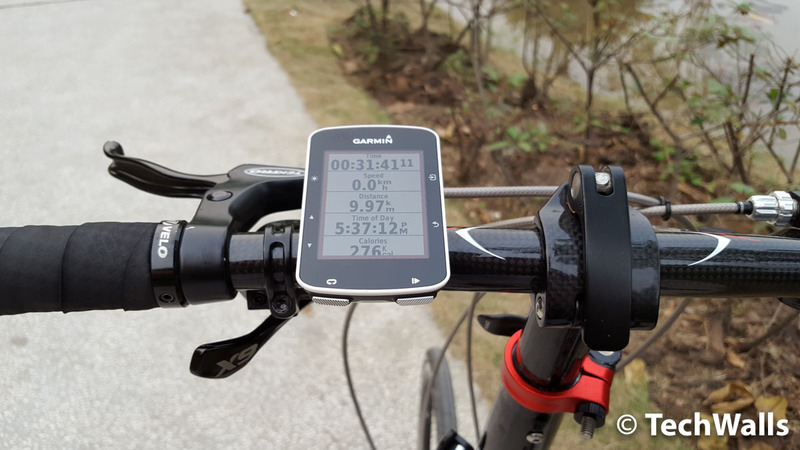 And as you expect, the device is compatible with ANT+ sensors, that means it can receive data from accessories like Shimano Di2 electronic shifting systems, heart rate monitors, power meters, speed and cadence sensors, and smart trainers. 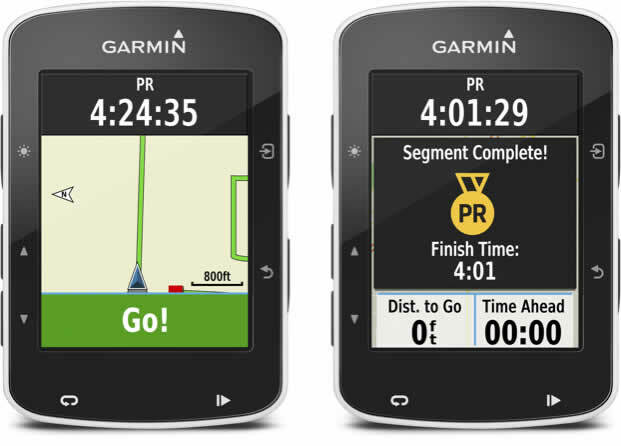 You don’t have to worry about battery life of the Garmin. It lasts about 15 hours in normal mode, that is enough to use for a couple of weeks. However, if you follow a course or use the live segment feature, the battery will be dead in 10 hours. 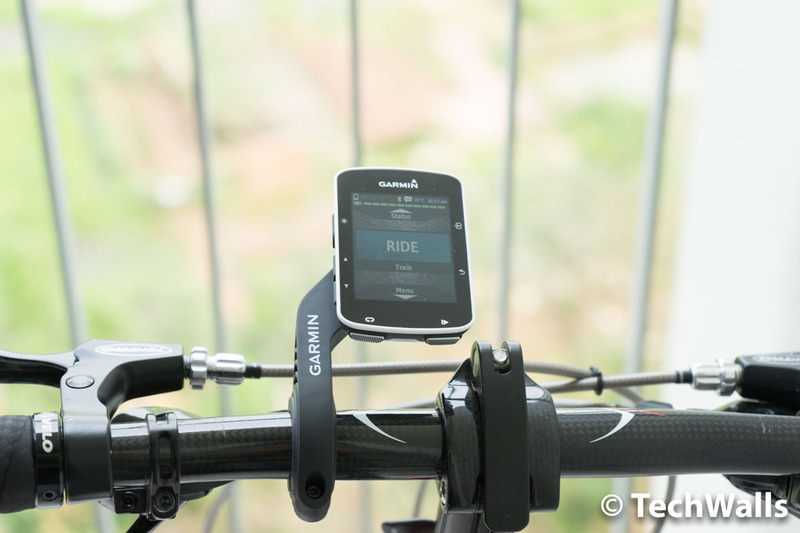 The Garmin Edge 520 has some minor issues but it is undoubtedly a great high-end GPS cycling computer. I highly recommend the product. Virtual Partner is quite interesting feature but also waterproofness is very important for me.